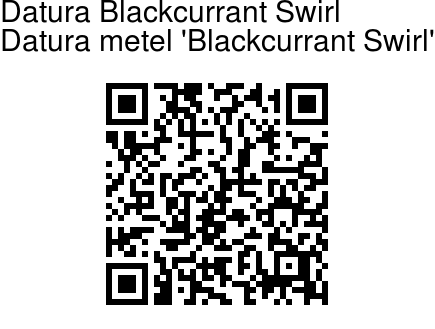 Datura Blackcurrant Swirl is a cultivar of Datura metel with a polished-looking ebony-black stem. Its flowers normally have a double or triple tube, each tube having a deep purple exterior and white or off-white interior. The plant is reported to have become naturalised in Israel. The black cultivar might become a common roadside dweller, like its white- flowered ancestor. 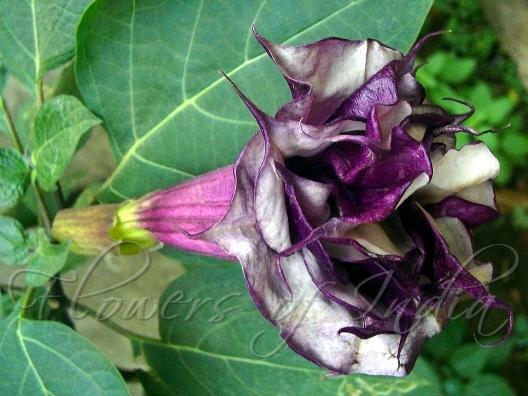 In India it is a used as a garden plant.